Bayer, the company that purchased Monsanto in June, is facing a second trial today over the controversial active ingredient in its weed-killing product Roundup. The trial comes six months after Dewayne Johnson, a former school groundskeeper with non-Hodgkin’s lymphoma, won a lawsuit alleging that the glyphosate contained in the herbicide causes cancer. Now, California resident Edwin Hardeman is taking Bayer to federal court over the same allegations. Hardeman began using Roundup in the 1980s to control poison oak and weeds on his property, according to court documents. He says he regularly sprayed “large volumes” of the product on his property for many years. In 2015, Hardeman was diagnosed with the same type of cancer that is affecting Johnson. However, Hardeman has a history of hepatitis C, which is a risk factor for developing lymphoma. Bayer also said in court filings that most non-Hodgkin’s lymphoma incidents have no known cause. The company said the analysis employed the use of "statistical manipulation" and that it contained "serious methodological flaws.” Bayer has maintained at every turn that “hundreds of studies indicate glyphosate doesn’t cause cancer” despite the existence of thousands of lawsuits alleging otherwise. In 2015, The World Health Organization's International Agency for Research on Cancer published research claiming that glyphosate is a “probable” carcinogen. Glyphosate is currently an active ingredient in weed killers made by several companies. 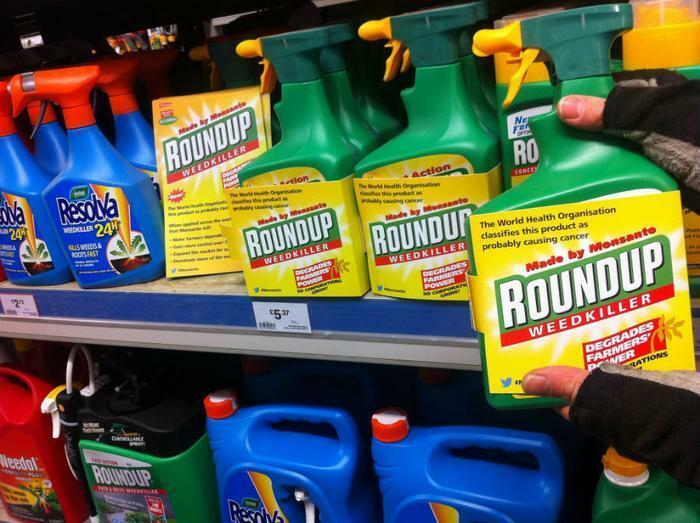 Last August, a jury found that Monsanto acted with "malice" and that its weed killers Roundup and Ranger Pro contributed "substantially" to Johnson's illness. The jury awarded Johnson nearly $300 million in damages, later reduced to $78 million. Hardeman’s complaint alleges that Bayer "knew or had reason to know that Roundup was defective and unsafe" and that exposure to the product "could result in cancer and other severe illnesses and injuries." Hardeman’s lawyers argue that information disseminated by Monsanto was “inaccurate, false, and misleading,” and as a result, did not provide consumers with adequate warnings regarding the product’s safety.